October 31, 2017 | -by: Kevin George. Remember our predictions for email design trends 2017 that we did in the beginning of this year? While the use of Big Data and Internet of Things will be the next big thing in email marketing, email designing will also witness a makeover in 2018. In the quest of enlightenment, we uncovered the most prominent trends in email designing that you can look forward to in 2018. With emails getting more and more important in the sphere of marketing, it becomes obligatory to make them stand out if you wish to generate more conversions. Use of artistic fonts in email is a good way to grab subscribers’ attention as they make the emails more visually appealing. 2018 is sure to witness a spike in the number of emails with unique typography. Here’s an email from Aéropostale that brilliantly uses decorative typeface and highlights the important offers. Fetching dynamic data that changes with the defined rules when the email is opened is picking up pace. One of the most important factors will be pulling the right information and displaying it correctly in a particular content block in the email. So, designers will need to take into consideration how long or small the content block needs to be, based on the data specification, to give that actual look. The layout might break if the fetched data does not fit into the specified content block dimensions and the email will have loads of unnecessary white space if the fetched data is smaller than the specified content block area. ‘Stories’ that started with Snapchat have now become one of the most popular features on Instagram. It has also become an important marketing tool. Email marketers can include their Instagram stories in their promotional emails and offer an omnichannel experience to their subscribers. It’s always good to create a sense of ‘familiar’ consistency in your marketing plan, regardless of the medium. ace & tate has emulated the feel of Instagram beautifully in their email. Take a look! GIFs and cinemagraphs have made boring email communication so interesting in the recent times. You can go a level up with gamification in your emails. Offer your subscribers some reward at the other end of the entertaining experience. Not many people have implemented this trend so far; you can certainly be the early adopters and let your emails leap out from the inbox and catch the subscriber’s eye. If you are an email marketer in telecommunications industry, HTML5 video can work wonders to promote your services. Event marketers can also use video in HTML email templates to showcase the success story of the past event. They can even promote the event venue through a video. Give slight pulsatory movement to the important phrase in the email so that it gets noticed. That would increase the chances of conversions and convey your email purpose much better. Have a look at how Hollister has done that! Take help of ‘user-generated’ content to enhance your email marketing. You can do so by implementing live polling in your emails. Let your subscribers tell you what they want so that you can have customer-centric marketing that’s far more effective than the usual sales pitch. Love these trends? Take a look at our infographic on Email Design Trends 2019 too for the latest updates. 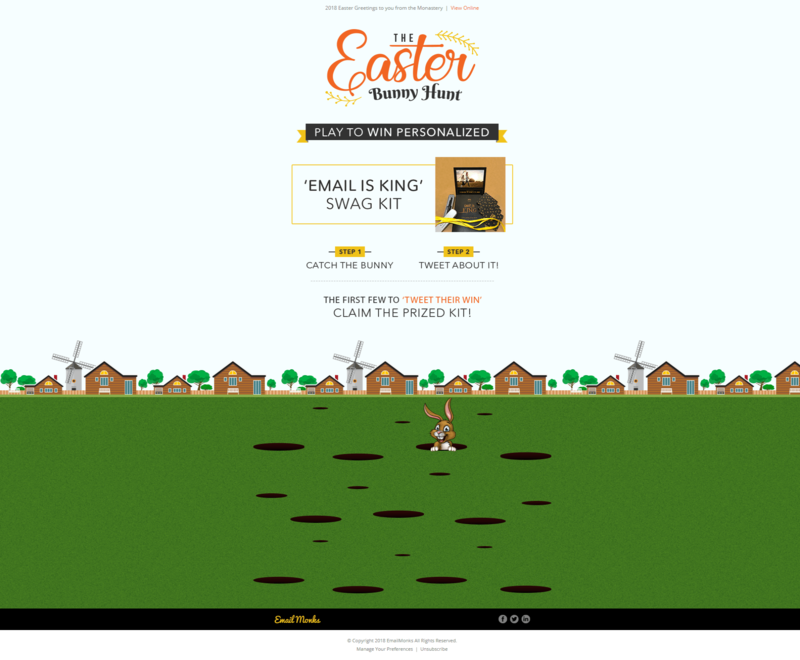 Are you ready for that jumbo email marketing leap? If you are looking forward to incorporating these elements in your email marketing strategy, we can design custom emails for you that will set the trend in the next year and bring in new customers for you with bulk discounts for agencies. CONTACT US NOW on hello@emailmonks.com. Thinking to implement the latest email design trends? Let Monks make it happen!